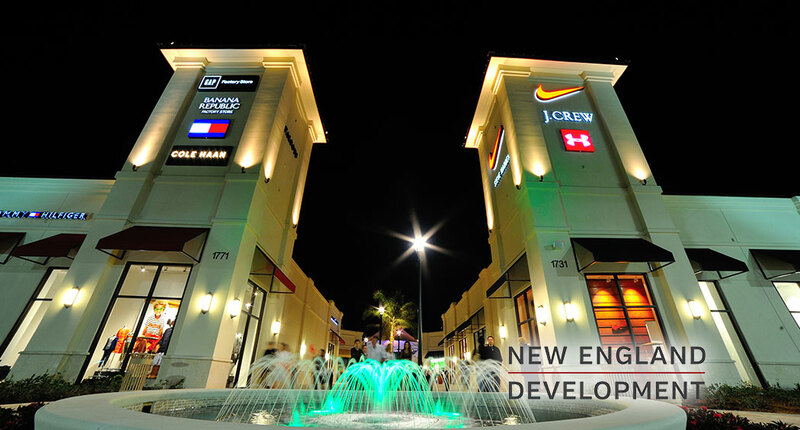 Palm Beach Outlets, a project of New England Development, is Palm Beach County’s first outlet center. Palm Beach Outlets features over 100 stores including brand favorites Saks Fifth Avenue OFF 5TH, J.Crew / Crewcuts Factory, Ann Taylor Factory Store, Banana Republic Factory Store, Kenneth Cole, Talbots, Under Armour Factory Store, and White House I Black Market. Located directly off Interstate 95 on Palm Beach Lakes Boulevard in West Palm Beach, Palm Beach Outlets is the only outlet shopping destination within 55 miles of its site. The location benefits from strong demographics: Palm Beach County is one of the most affluent regions in the country. Nearly 1.5 million people make this their permanent home, with a seasonal influx of approximately 150,000 wealthy second home owners dramatically increasing this base population for nearly six months of the year. In addition, approximately 5 million tourists visit the area to enjoy its beaches, golf courses, resorts, and events.